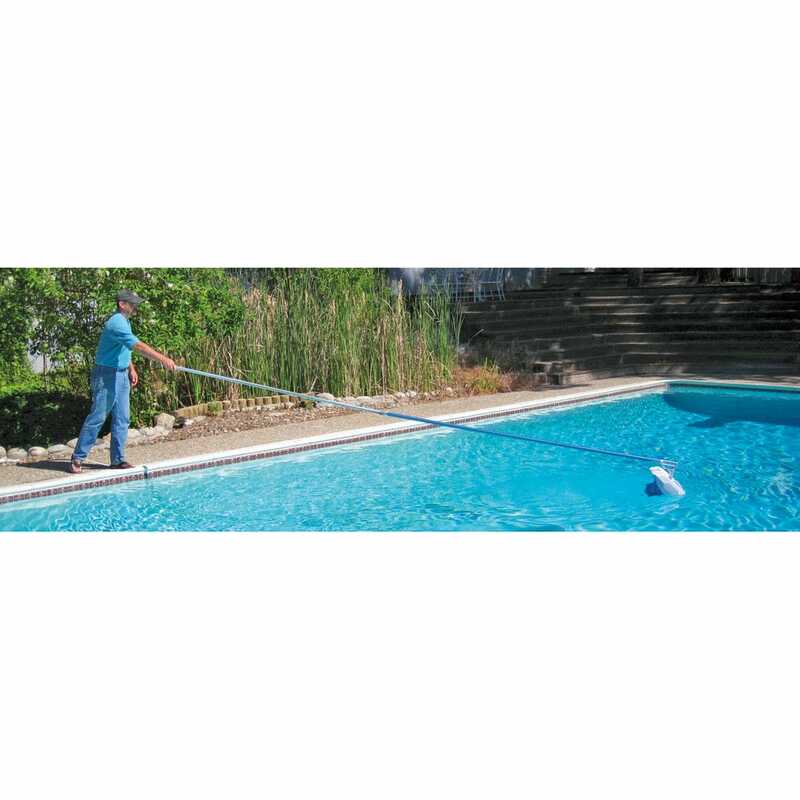 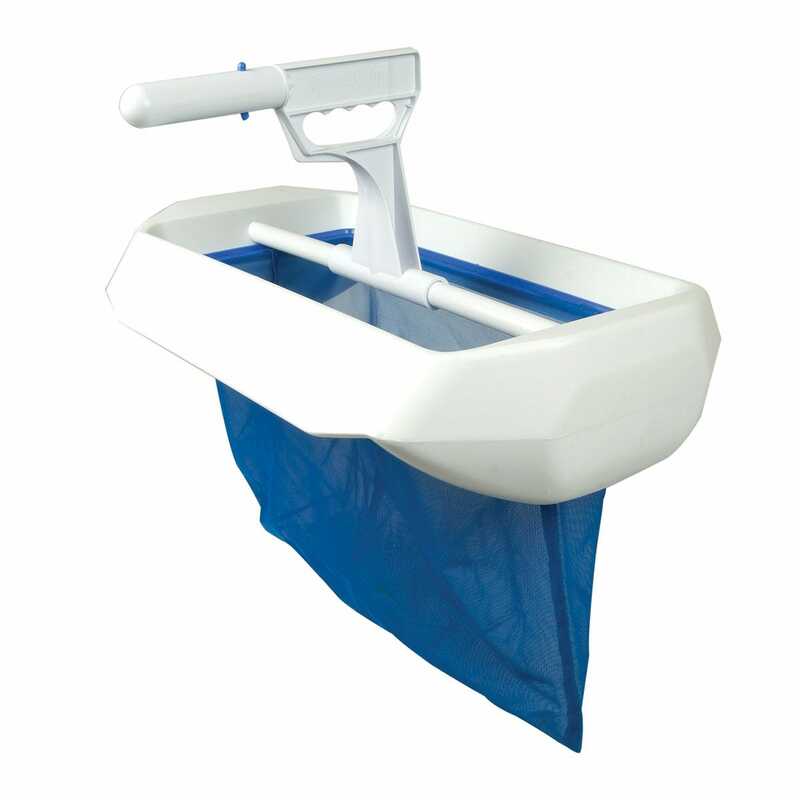 Swivel Skim Pool cleaner features a swivel functionality to the frame allowing forward and backward rotation with a simple push/pull action without disturbing the debris in the net. 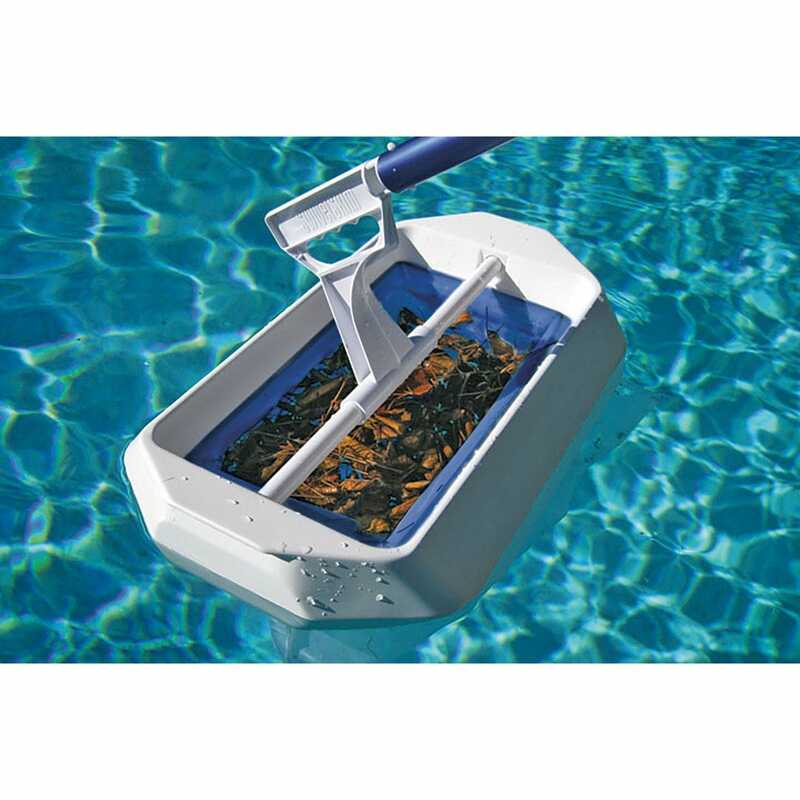 Use to quickly glide along the pool surface, which bears the weight of the collected debris because the 13” frame floats. 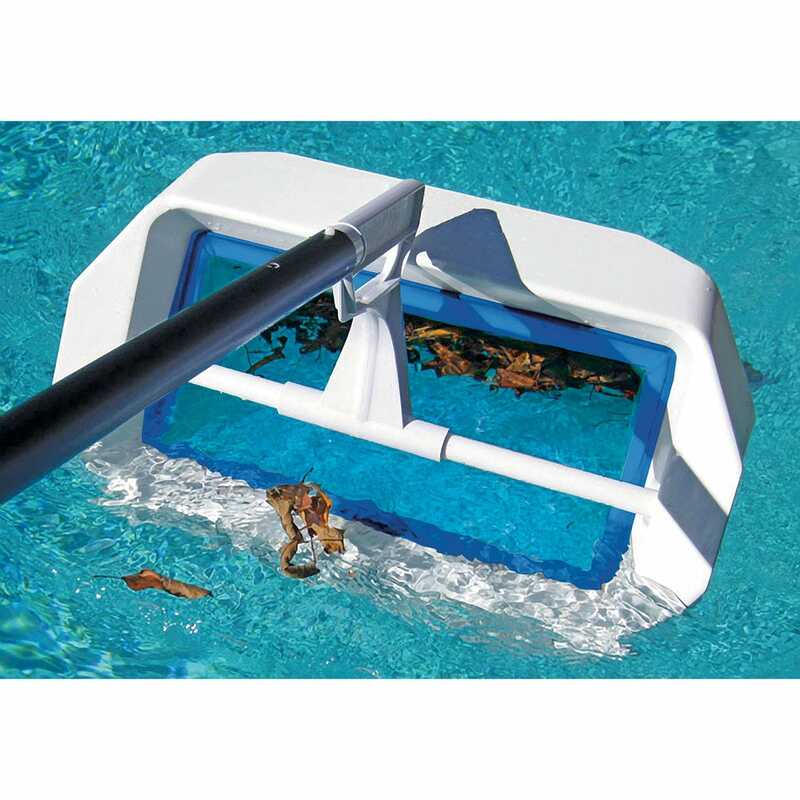 The bi-directional functionality allows the direction of the skimmer to change in an instant, but keeps debris trapped in the net until you’re ready to empty. 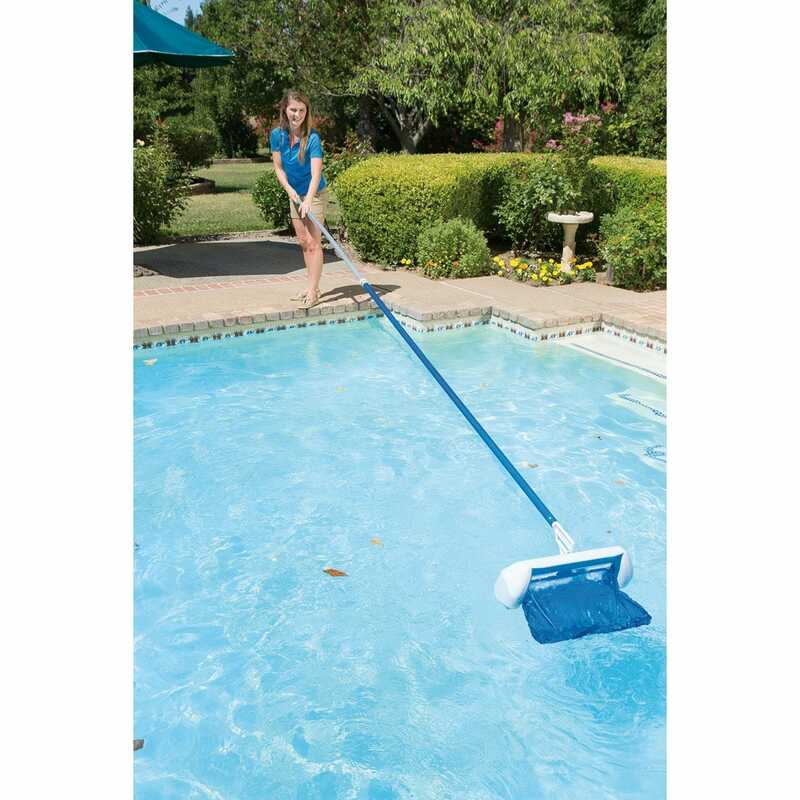 No more back-straining, side-to-side movements to capture debris in the center of the pool. 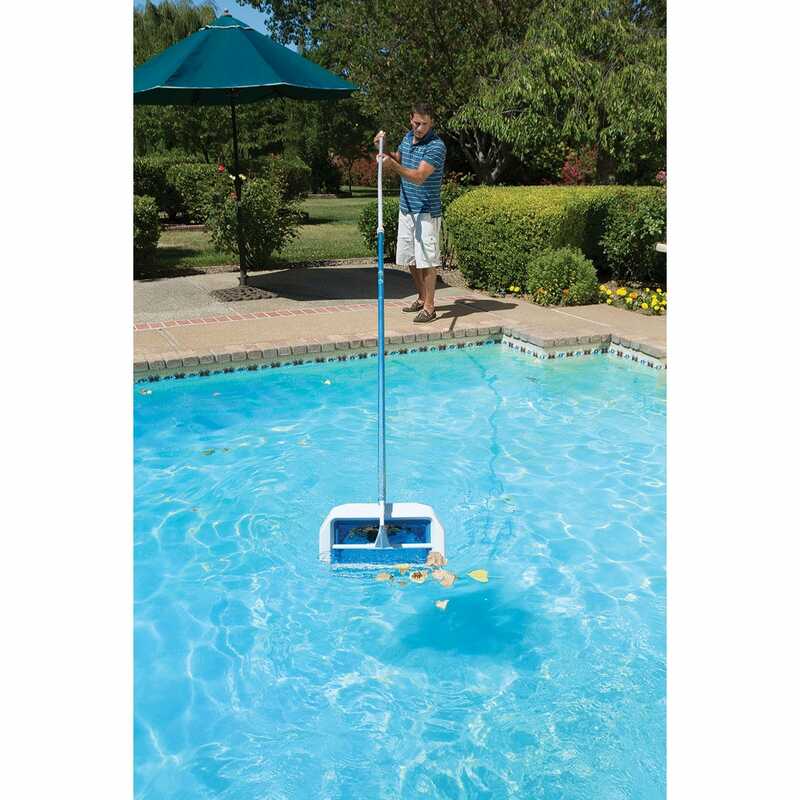 Pole is not included. 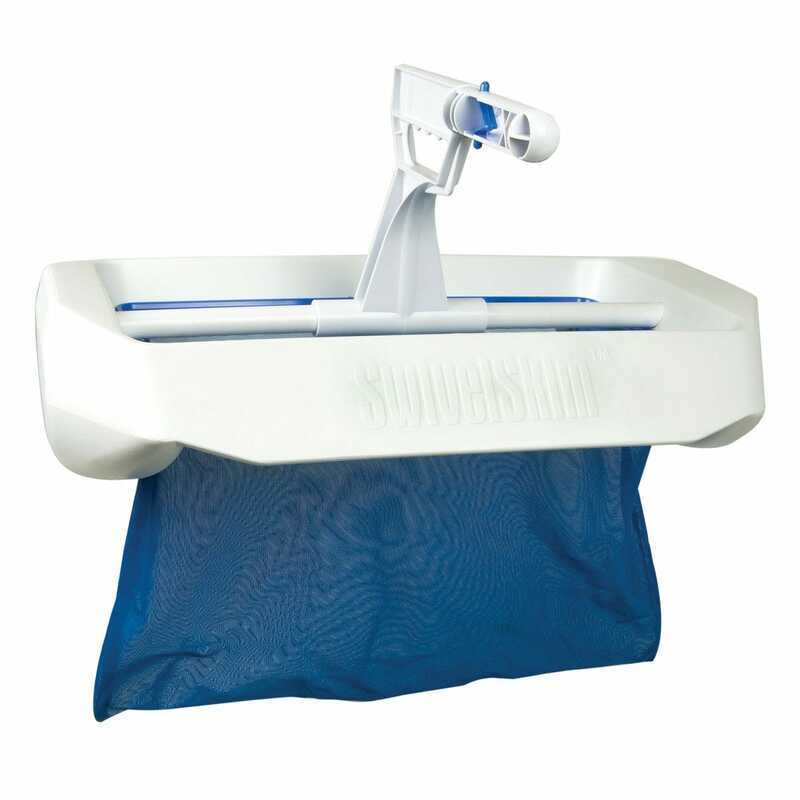 Measures 20”w x 13 1/4”l.